According to amazon.com, the English version of the second part of Marjane Satrapi's Persepolis comes out at the end of this month. I may not be able to wait. The preorder page at Amazon is making me salivate. 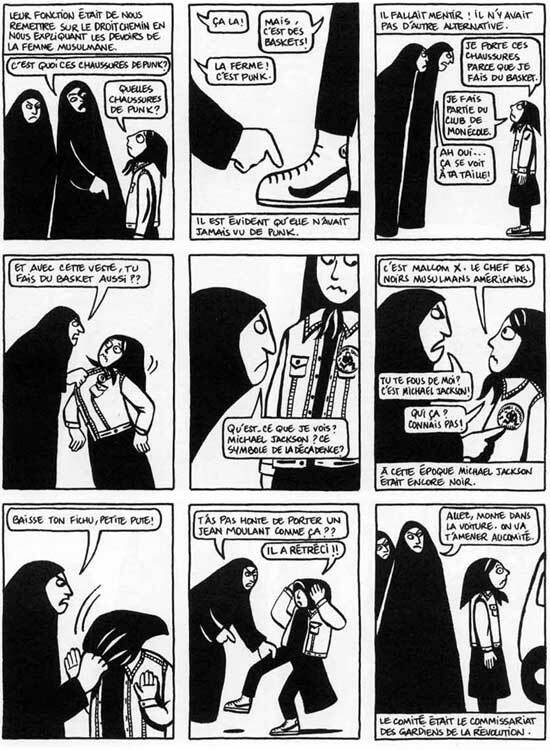 If you haven't read the first part of Persepolis, just stop what you're doing right now and go buy it. Really. It's that good. Good thing you'll have Doom 3 to tide you over. No, but seriously, OMFG etc. I may not be able to wait either. Still, I hear the French translation is more thorough. Though I loved it in English! Slate has a slide-show essay about the book.